HydraFacial® is a state-of-the-art, gentle microdermabrasion treatment that removes old, dry skin cells and provides nourishing serums to revitalize your appearance. 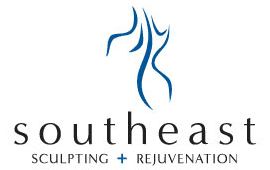 Southeast Sculpting + Rejuvenation in Fort Mill, South Carolina, offers HydraFacial to reduce the appearance of fine lines, age spots, acne, and rosacea. Call the office or schedule an appointment online today to learn how HydraFacial treatments can give you a glowing, youthful complexion. HydraFacial is an invigorating facial experience that gently cleanses and extracts impurities from your skin before supplying it with much-needed nourishment and moisture. The HydraFacial treatment is loved the world over. A favorite among celebrities, when it comes to noninvasive aesthetic procedures, it is ranked second only to Botox and above an IPL laser. The HydraFacial is the ultimate treatment to rejuvenate and protect the health of your skin. This relaxing, painless procedure provides instant results that leave you looking radiant and refined. The HydraFacial blend of cleansing, exfoliation, extraction, hydration, and protection, performed through its patented Vortex fusion delivery system, is considered the royal treatment to safely and effectively address your unique skin care needs. In addition to the face, we use HydraFacial to treat the décolleté, back, neck, hands, eyes, and lips, leaving skin quenched, bright, and radiant. HydraFacial is recommended monthly and will give you the best skin of your life. This treatment begins the detoxification process with lymphatic drainage. Then our Signature HydraFacial deeply cleanses, exfoliates, extracts, and hydrates the skin while addressing your skin concern with a serum booster selected by your nurse or esthetician. This treatment concludes with LED light therapy to stimulate cellular activity. Both the face and neck are treated. An invigorating treatment that includes all the essentials of the Signature HydraFacial with extended extractions to remove congestion. A lengthy LED light therapy session is included to heal the skin and promote cellular activity. It’s perfect for teenagers or those with problem acne. This is a face only treatment. Cleanse and peel, extract and hydrate, and fuse and protect your skin with a HydraFacial treatment that leaves your skin glowing, clean, and refreshed. This treatment is specifically for the face. The Deluxe Hydrafacial treatment includes all of the essentials of the Signature HydraFacial while addressing your specific skin concerns with a Booster of your choice. This treatment concludes with LED Light Therapy to further increase cellular activity or reduce fine lines, signs of rosacea, and acne. What skin concerns can a HydraFacial address? Virtually any skin type is the right type for a HydraFacial. What are the benefits of a HydraFacial compared to other resurfacing treatments? The HydraFacial treatment is effective and results are immediately visible, especially that patented youthful glow. The process also stimulates natural collagen production, which will continue to benefit your skin’s health for weeks after the facial. But unlike harsher peels and other dermabrasion treatments, HydraFacial treatments are gentle enough that you can return to work and other normal activities immediately afterward. A monthly regimen is recommended. Every patient is asked to complete a skin questionnaire that outlines their current concerns and at home skin care regimen. Once that’s completed, you’ll experience a comprehensive, hands-on skin assessment. Should I try a chemical peel first? Southeast Sculpting + Rejuvenation offers ZO® Skin Health treatments, which include high-grade peels that provide more intense skin resurfacing. During your pre-treatment skin evaluation, your provider assesses your needs and makes treatment recommendations based on your unique situation so that you can choose the right product for your skin’s health. For more information about HydraFacial and the other skin care treatments offered at Southeast Sculpting + Rejuvenation, call for an appointment or book your visit online.